In Feb 2012 I bought a Galaxy Note 1. Why because I was and still working on mobile services and we needed something different than what was the solutions for consumers. I have no regrets with the Galaxy Note 1, but it is getting slower with SW updates. The battery is worn down. I have convinced others to get the Galaxy Note 2 which has better performance and battery life. I bought a Galaxy Note 8 for Tablet experience and now rarely use the iPad. Being able to write and replace paper notebooks feels better for the way I work and think. The Wacom Bamboo stylus is a nice pen device. Today Samsung announced the Galaxy Note 3 and I am ready to replace the Galaxy Note 1. The press is pro-Phablet now. Whereas at the beginning the media made fun of the Phablet. 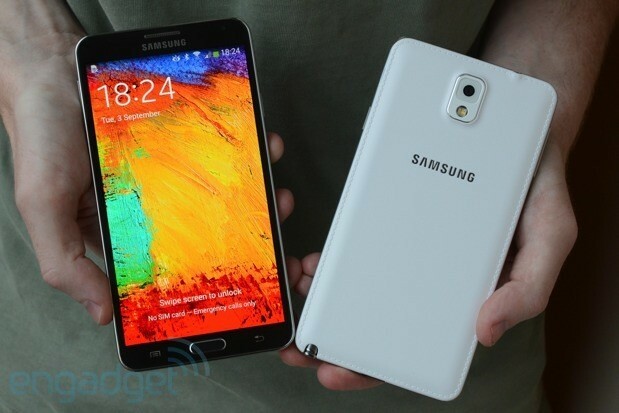 Here is one review of the Galaxy Note 3. Two years ago, at a consumer electronics show in Berlin, Samsung took to the stage and unveiled the introduction to what is now a booming smartphone genre. The 5.3-inch monstrosity, called the Galaxy Note, has blossomed into one of the Korean manufacturer's biggest brands. Today the same company is unveiling the Galaxy Note 3, the second sequel in a series of supersized stylus-smitten smartphones, which is even taller, narrower and thinner than the first two of its kind. As expected, the new 5.7-inch Note not only utilizes a S-Pen but enhances its functionality and adds better hardware and components to ensure it's able to handle anything you can throw at it. The Samsung marketing group is pushing the Note harder. "We introduced the original GALAXY Note in 2011 and launched a whole new smart device category. The undeniable success of the GALAXY Note strengthened our conviction that consumers want higher quality features for smart devices and they want those new features to make their lives better," said JK Shin, CEO and President of IT & Mobile Division at Samsung Electronics. "Samsung GALAXY Note 3 is a powerful, original approach that enables users to tell the stories of their lives through dynamic and seamless expressions of their passions across work, play and life experiences. With a simple click of the S Pen button, users can unlock opportunities for self-expression, features that transform everyday activities into extraordinary events and access to new experiences delivered to them on Note 3's larger screen." Now I don't look so silly saying the ideal device for a revolutionary mobile service is the Galaxy Note. The Note 3 looks awesome.